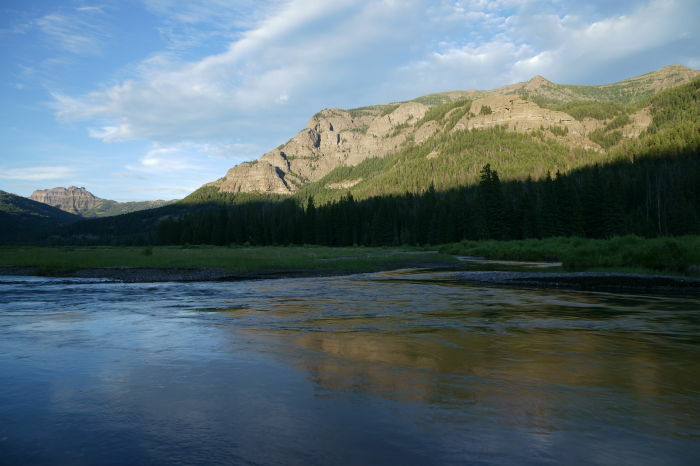 You have to really make an effort to end up on the northeast side of Yellowstone National Park. It’s not exactly close to anything. 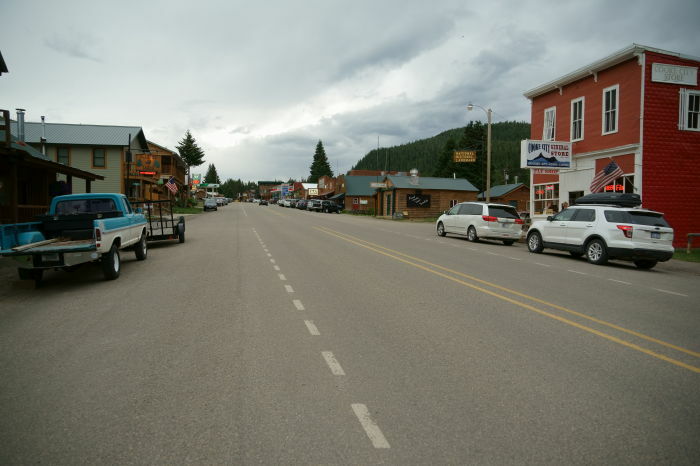 But you can make it a destination, and a launching point for exploring the park, by staying in Cooke City and Silver Gate: two tiny towns with everything you need, in the middle of nowhere. Cooke City and Silver Gate are located on the Beartooth Highway, US 212, near the northeast entrance to Yellowstone National Park. The two towns are about 3 miles apart. After a day of traveling the Beartooth Highway and Chief Joseph Scenic Byway, the weather was turning grey, and I was tired. My overnight accommodation was in Silver Gate, so I drove through Cooke City, checked in, then drove back to town. Cooke City is larger than Silver Gate and offers more services. The downtown district stretches just a few blocks, and that’s it. You’ll find a few restaurants here, a couple of gas stations, and several motels. It’s more expensive than it should be, thanks to its location, but if you want to visit Yellowstone, it’s a sacrifice you’ll have to make. 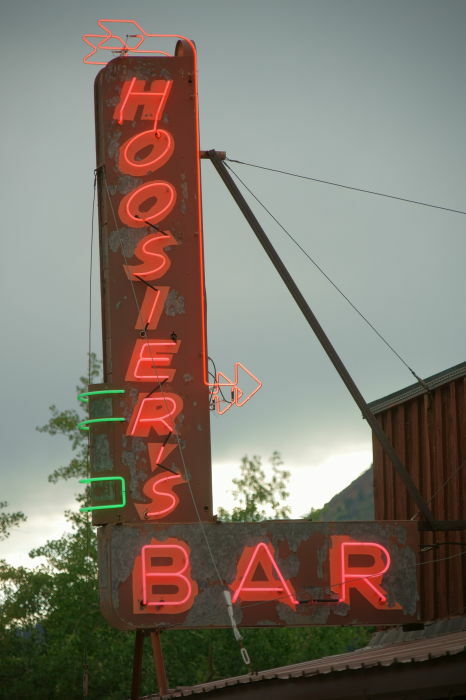 Hoosier’s Bar has the best neon in town, and seeing as how it’s been here forever, I’m guessing the drinks are pretty good too. The Beartooth Highway is closed by snow during the winter months, but the road through Cooke City stays open. In the winter months, it’s a great place to stay and play in the snow. You’ll see snowmobiles rolling through town, on their way to nearby trails. The most popular place in Cooke City is the tiny visitor’s center — even when it’s closed. That’s because it has a public wi-fi hotspot. There’s a good chance that your motel will not have reliable wi-fi or cellular service, due to the remote location of the town. 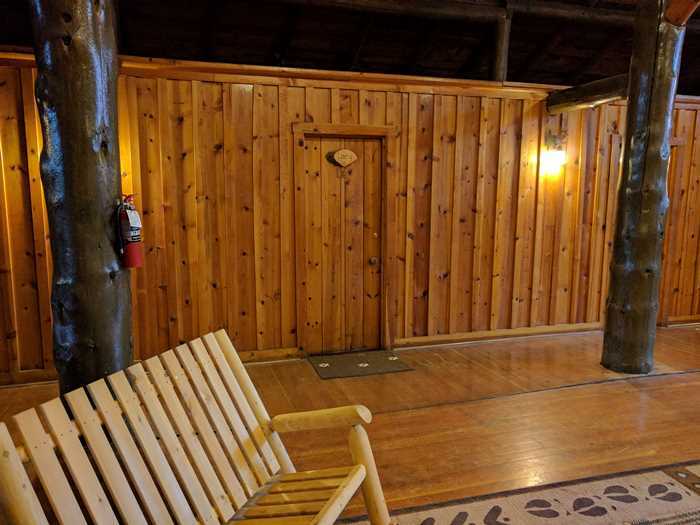 Wi-fi was the main reason I returned to Cooke City after checking in at Silver Gate — and I found about a half-dozen others at the visitor’s center for the same reason. 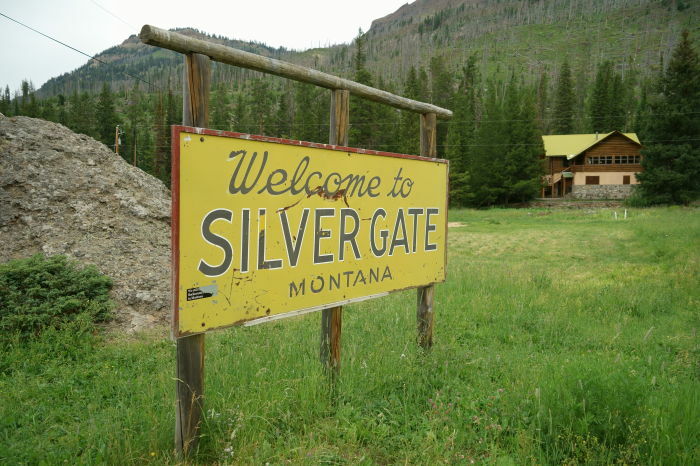 Three miles from Cooke City, you’ll find Silver Gate, Montana. This small town isn’t much more than a wide spot in the road, with just a handful of businesses. Most likely, if you’re staying here, you’ll need to drive back to Cooke City to get dinner. The weather simply couldn’t decide what it wanted to do. After driving back to Silver Gate, and starting to settle into my accommodation for the evening, I realized that suddenly it was quite nice outside. I don’t know where all the clouds and drizzle went, but the skies were clearing, and suddenly I needed to scramble to find a nice sunset spot. I drove a few miles into the park, and found a nice spot along Soda Butte Creek. I couldn’t see the sunset from here, but the light on the mountains was still quite pretty. 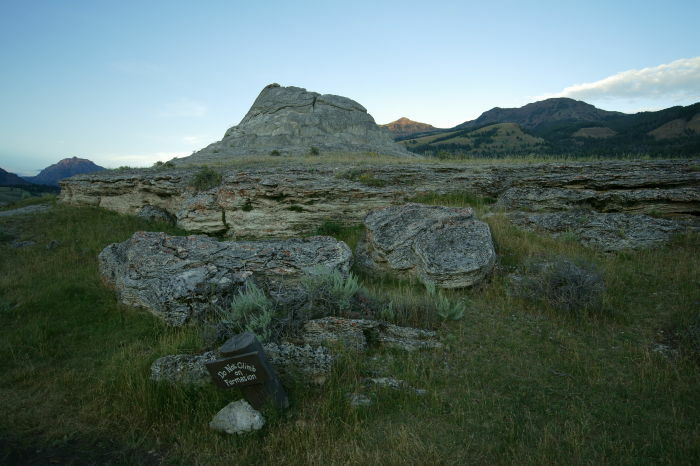 After sunset, I drove west as far as Soda Butte, an extinct geyser. On the return trip, the after-sunset sky was still quite beautiful. 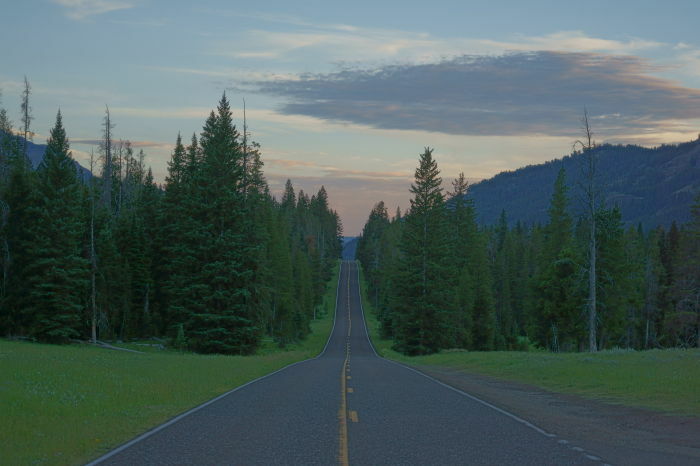 But along this stretch of road, you’re usually surrounded by a tunnel of trees. Finding a nice view of the sky is difficult. 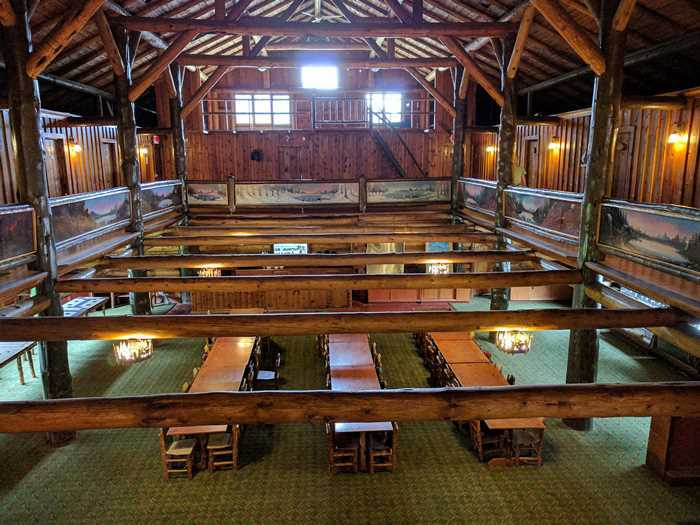 I was spending the night at the Range Rider’s Lodge — a historic building built in 1938. 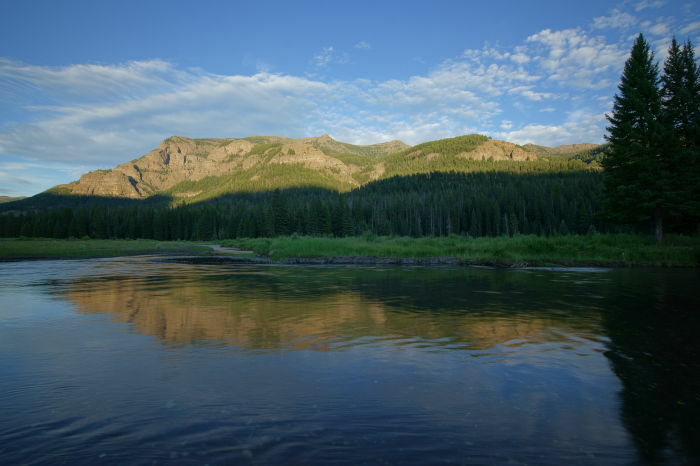 It’s an interesting choice for anyone who wants to stay as close as possible to Yellowstone, but still save some money. I think my room was a little less than $100 a night. 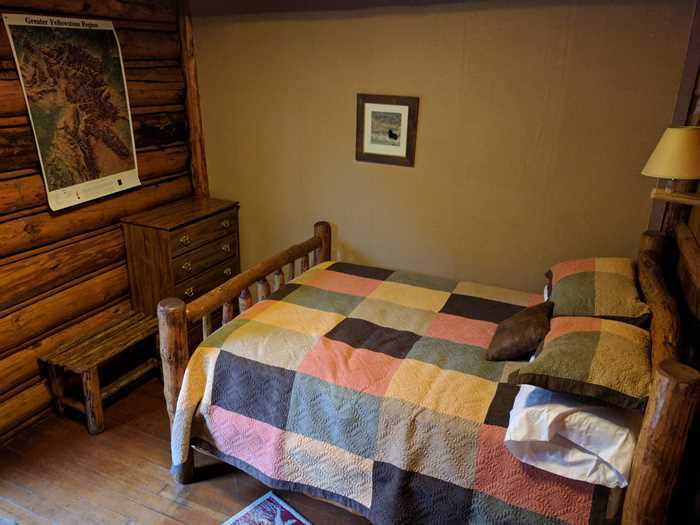 A room at a conventional motel in Cooke City, or a cabin in either town, would have cost much more. Rooms are on the second floor of the building. The first floor is open as a bar on certain nights, but it closes early enough to avoid bothering overnight guests. The rooms are like tiny little boxes, divided by thin walls. Here, you’re seeing almost all of my room. There was enough space for a double bed and a couple of small pieces of furniture. I had no windows, but I did have a door that opened up onto a shared balcony, overlooking the main road. 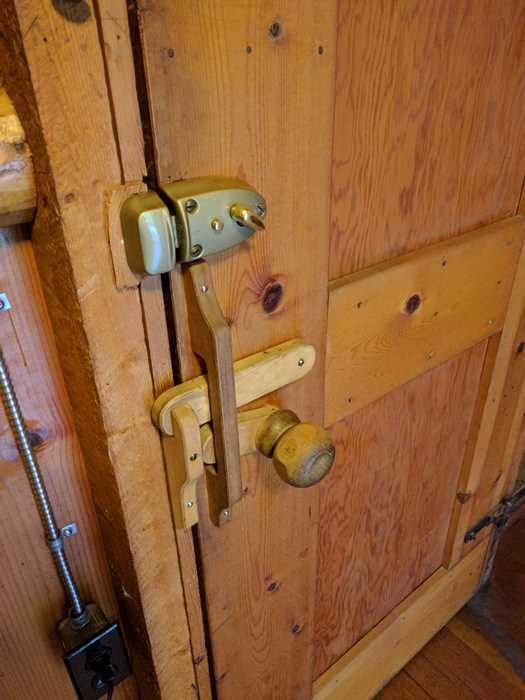 The doorknobs were funky contraptions that were somewhat awkward to operate. So here’s the thing. I wasn’t very happy with my stay at the Range Rider. Maybe I was just reaching the point in my trip where I needed some comfort and simplicity. Or maybe this was genuinely an uncomfortable place to stay. It’s probably okay for some people — in fact, I know it is because the place has great reviews online. For me, though, I was frustrated by the shared bathrooms — not that they were shared, but that they were dirty, dimly lit, sometimes lacking toilet paper, and completely lacking any cleaning supplies. 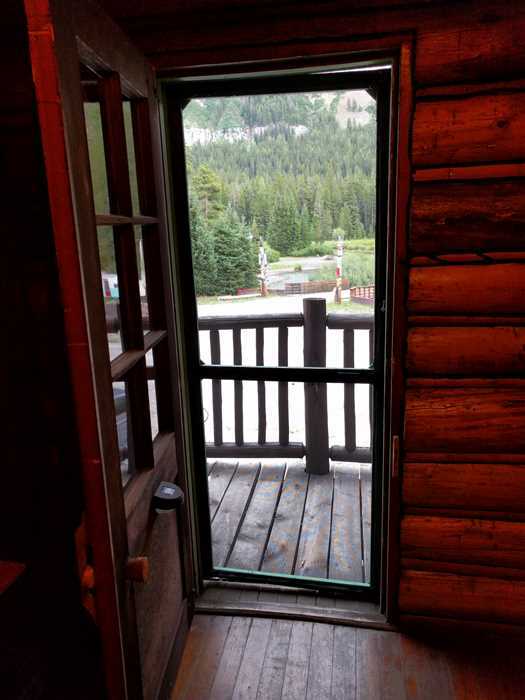 I was frustrated by that porch door — the only source of ventilation for the room. Leaving it open seemed unsafe, and closing it turned my room into a hot, stuffy cube. I was frustrated with just one power outlet, with just two sockets, one of which was occupied by the light above my bed, leaving the other to be shared by everything I needed to charge. I was frustrated by hearing every cough, sniffle, and whisper from my neighbors. It just wasn’t very pleasant.